In the changing landscape of healthcare the number of psychiatrists entering leadership positions has declined steadily over the years. One factor contributing to this appears to be lack of leadership training during residency training. International competency frameworks have addressed this and some programs, both national and international, have designed innovative curricula to provide didactic and experiential learning in administration during and after residency. Despite guidelines by the Accreditation Council for Graduate Medical Education regarding competency in administrative aspects of health care delivery, most psychiatrists feel ill-equipped to assume a leadership position after residency training. Inculcating comprehensive administrative training into residency faces many challenges related to funding and saturation of existing curricula. Administrative training should be a mandatory element in the training of all residents irrespective of the setting in which they intend to practice. Accreditation Council for Graduate Medical Education should consider taking a prescriptive approach in shaping competency frameworks to address the need for residents to be fluent in administrative aspects of practice. Training psychiatrist-administrators will be crucial in the future of mental health-care, both from the perspective of consumers as well as psychiatry as a specialty. Farooq Mohyuddin, Ashwin Jacob Mathai, Pamela Weinberg, and Sy Atezaz Saeed declare that they have no conflict of interest. 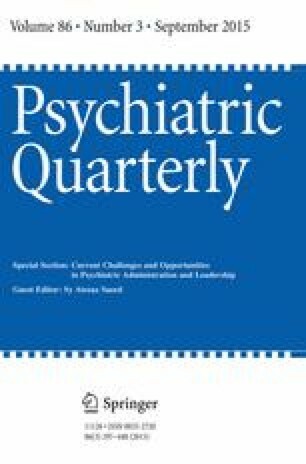 http://acgme.org/acgmeweb/Portals/0/PDFs/Milestones/PsychiatryMilestones.pdf. The Milestones project, 2013.